Moreover, the studio says Warframe reached “new peaks” for both daily and monthly active users. It didn’t share the specifics, but SteamCharts SteamCharts indicates that Warframe set a new record for peak concurrents in November last year – of 131,766 – after the release of its Fortuna expansion. These are mighty achievements for a six-year old game, especially given that its trajectory is still on the up – 2018 was Warframe’s biggest year of growth to date, helped by a Switch launch and a diligent schedule of updates by the devs. 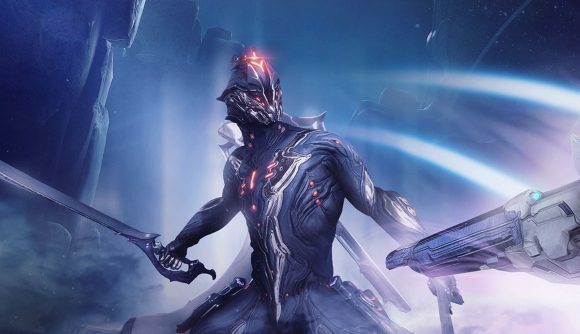 These trends have been reflected in increased engagement with Warframe’s fan convention, TennoCon, and its streaming presence – Warframe was the 14th-highest concurrently viewed game on Twitch last year. To celebrate the anniversary and the happy news, Digital Extremes is giving free birthday gifts to all Tenno this coming Wednesday, March 27. These will include a new and exclusive Liset (landing craft) skin, last year’s Dex Excalibur skin, and all previous anniversary gifts. If you fancy adding to the success story, Warframe is on Steam and it’s entirely free-to-play. The devs have big plans for 2019, with gameplay and graphical overhauls due for two areas, and major new content updates: The New War and Railjack. As a large-scale co-op action game, Warframe is commonly compared with the likes of Destiny, but it’s over a year older than even the first entry in Bungie’s flagship series and clearly going from strength to strength.